Key products: The consumer health business of Pfizer in India is worth at least Rs150 crore—about 20% of its total sales. 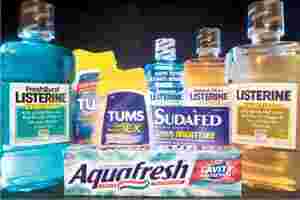 Major products in this division are Gelusil, Benadryl and Listerine mouthwash. Mumbai: More than a year after the US drug giant Pfizer Inc. sold its consumer health business to Johnson & Johnson (J&J) in a worldwide deal, the transaction remains incomplete in India. Even though the $16.6 billion (Rs65,660 crore) deal closed in December, the India business transfer remains uncertain because Pfizer Ltd, the 41% local subsidiary of Pfizer, is struggling with the transition due to a lack of consensus between employees and management. “The consumer health business transfer to Johnson & Johnson is delayed in India despite an early global closure, due to technical reasons. The board of directors of the company is now evaluating various options available for a smooth restructuring," said R.A. Shah, chairman of Pfizer Ltd, in an emailed statement. Added Pfizer India managing director Kewal Handa: “The delay in Indian business transfer was expected because the company here is a listed entity and requires related clearances. So the board is yet to take a final decision in regard to the business restructuring." A J&J spokesperson in India said that, early this year, J&J India managing director N.K. Ambvani had discussed the business transfer options with Pfizer management and had clarified most of the issues pertaining to employee transfers. However, details of this discussion couldn’t be independently ascertained. Consumer health, or the over-the-counter business of Pfizer in India, is worth at least Rs150 crore, which is about 20% of the company’s total sales. Major products in this division are Gelusil, the anti-acidity drug, Benadryl, leading cough syrup in India, Listerine Mouthwash, Caladryl anti-allergic lotion among others. The division employs about 200 people here. A Pfizer India official, who didn’t want to be identified, said the problem was protests from the 200 employees who were concerned about “job security". A global team from Pfizer that had been working on the transition of the international consumer health business, was in India last year to recommend an appropriate option. “However, their views on the India transition model have still not been conveyed to the local management," said the same Pfizer India official. According to the initial plan, all the employees working with Pfizer India’s consumer health business were supposed to be transferred to J&J India, the leader in the Indian consumer health business with annual sales of about Rs600 crore. J&J India operates in three areas—pharma, medical and consumer health. The three divisions typically act as separate strategic business units. “The employees at the company’s consumer health division are totally confused now as there is no assurance from the management that they will be inducted into the rolls of Johnson & Johnson as permanent employees," claims Santosh Sawant, an employee union leader at Pfizer India. “They are also uncertain about the terms and conditions that the new company will offer." Meanwhile, a senior executive heading Pfizer India’s consumer health business left the company, adding to the uncertainity. Overall revenues, meanwhile, have declined in the last three quarters though profits have grown marginally.